Your C-Arm Has Been Shipped - How Long Should It Take? We live in an instant world. Buying something and having it the next day is often as simple as pressing a button. From food, to electronics to even our laundry, we crave instant gratification. We have become so used to this way of life that we've come to expect it. 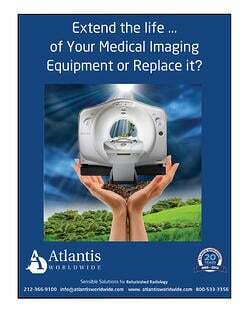 But when it comes to buying C-Arms - and medical imaging equipment as a whole - there is a shipping process that must be upheld to ensure quality and functionality. 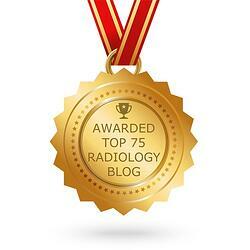 There are still important tasks that we undertake prior to your C-Arm arriving at your facility. First, we have to prepare your C-Arm for shipment. What this entails is wrapping your C-Arm from top to bottom in both bubble and plastic wrap. This is to avoid any cosmetic damages that could occur during shipment. Second, we build a pallet that all C-Arms are strapped to during shipment in an effort to best stabilize the C-Arm during transit. Most C-Arms are transferred from truck to truck during shipment and the more stabilized the C-Arm is, the less likely the system will arrive out of calibration or damaged. Once your C-Arm has been fully prepared for shipment, we schedule the truck to pick up the system. When the C-Arm is put onto the truck, it is covered with transit blankets as an additional measure to protect the cosmetics of the C-Arm. C-Arms are often strapped into the walls of the truck but this isn't as necessary when the C-Arm is palletized. 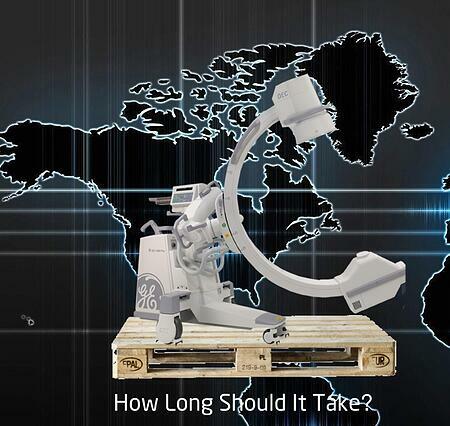 Once your C-Arm is picked up, it will take anywhere from 4 to 14 days for the C-Arm to be delivered. The delivery timetable varies based on how far the system needs to travel and also how common the route is that the truck is traveling. If the C-Arm is being delivered to a big city or the location is not tracker trailer accessible, the C-Arm will often need to be transferred to a smaller box truck which could add on to the delivery timetable. It is true that we live in an instant world. While that doesn't usually apply to medical equipment, we think it is important for our customers to understand the process that goes into shipping their C-Arms. And this only applies to domestic shipments; international shipments are a whole different beast. So if you are in the market for a C-Arm, please make sure to allow for enough time for the system to arrive in perfect condition so you can use it with the upmost confidence for years to come. 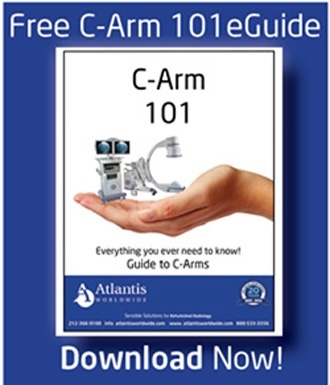 Contact Us Today for your C-Arm needs!